Brand Culture’s latest campaign for Energizer is now live! 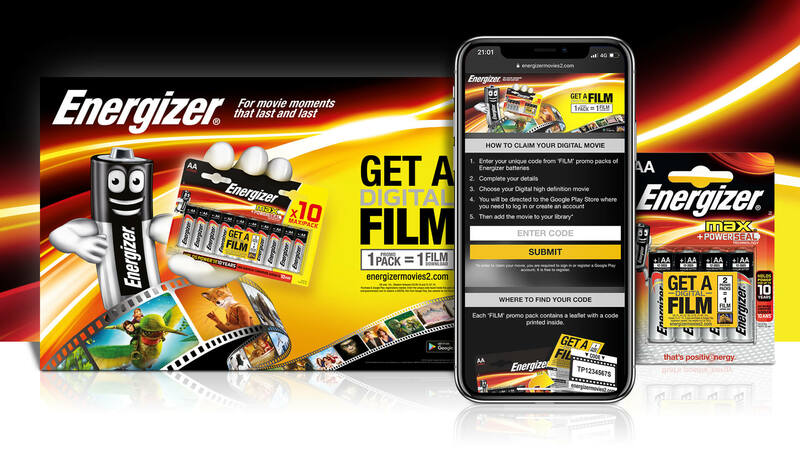 Building on our hugely successful, award-winning 2017 shopper activation, we have again partnered Energizer with 20th Century Fox to offer consumers across 24 markets globally more fantastic digital HD films from the studio’s library of blockbuster titles. As well as negotiating the partnership and overseeing campaign roll-out, we developed fresh, eye-stopping creative for on-pack, instore and digital that brings the Mr Energizer character to the fore, along with a market toolkit and campaign website design and build.